Located in the jungle, Kratie has been preserved from mass tourism, and it stands as a reflection of Cambodia’s true face. 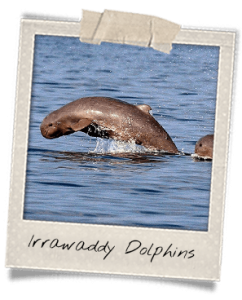 Kratie has a lot to offer: a market, a temple, an island, interesting surrounding villages but also activities such as walking along the Mekong River, encountering Irrawaddy dolphins and discovering the history of the Khmer cradle. 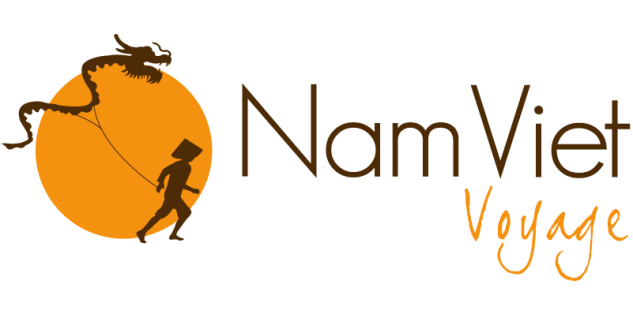 It is a nice and unrefined venue to explore in Cambodia. 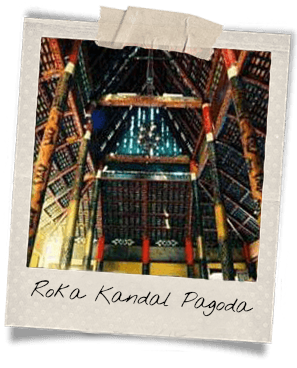 Time seems to have stopped around Roka Kandal Pagoda. Located 2 kilometers south of Kratie, it is a little temple dating from the 19th century. It is decorated with colorful wall-paintings, golden columns and well-made roof. The temple might be closed but you can ask around for someone who has the key. Otherwise, the tranquil surroundings are worth the stroll anyways. 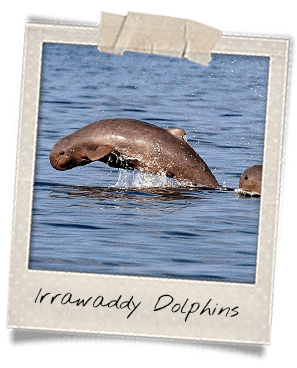 15 kilometers north of Kratie, Kampi village is known to be the best spot to watch Irrawaddy dolphins. They may swim around at dusk, when the sun is going down on the Mekong River. They are not too many – only 85, but most of them live there. You will have two options: either seat on the bank or book a cruise on a boat to have a closer look at them.